Schezwan fried rice recipe is full of vegetable and spices. Homemade food is healthy and tasty. 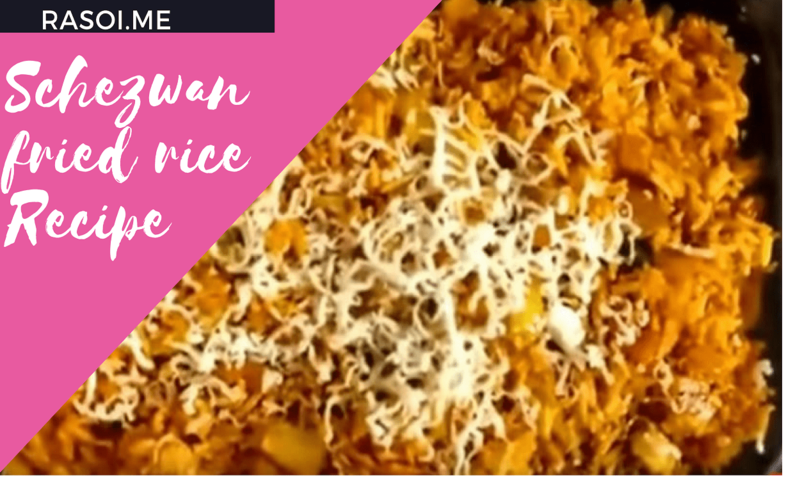 Make this instant Schezwan fried rice at home and eat healthy food. Love to share my easy experienced recipes with all of you Sindhi Recipes. Sindhi Food is epic and always give Sindhi touch to all recipes. Watch this recipe must try this at home subscribe our channel today. Cheese and butter for garnish. Then we add Schezwan masala and Garam Masala then we add the chopped tomatoes and mix it leave it for 2- 3 minutes then Add boiled Rice. Saute all Vegetable with Rice and Add 2 tsp Red chilies powder, turmeric powder and salt according to taste. Schezwan fried rice ready to serve. No Replies to "Schezwan fried rice recipe | शेजवान फ्राइड राइस"